The Team Lincolnshire ambassador programme has been busy recently with a series of events to champion investment opportunities in Greater Lincolnshire. Team Lincolnshire joined forces with the National Centre for Food Manufacturing at the University of Lincoln to exhibit at the UK Produce Industry Fair in Peterborough this month, promoting Greater Lincolnshire as the UK’s pre-eminent agricultural county. Farming and agrifood will also be on the agenda tomorrow (Tuesday 25th September) when Team Lincolnshire will hold an agrifood breakfast event at Roythorne’s in Spalding.  The event will raise awareness of the Team Lincolnshire ambassador programme and discuss the latest developments at the new Food Enterprise Zone at Peppermint Park, Holbeach. The speakers will be Jill McCarthy, Head of Investment at Lincolnshire County Council, who will tell delegates about Team Lincolnshire and the benefits membership can offer companies, and Simon Wright from Lincolnshire County Council, who will present the latest information on the FEZ at Peppermint Park. Peter Cusick, a partner at Roythornes and head of its food team, will open the event. Looking further ahead, Team Lincolnshire will be playing its part at MIPIM UK at Olympia in London on 17th and 18th October. Its annual MIPIM UK dinner, which will be held on 18th October at Le Meridien Hotel in Piccadilly, is an integral part of the Team Lincolnshire events calendar as it traditionally attracts investors and developers from London and the South East. In November Team Lincolnshire will be hosting a networking lunch in Birmingham where the speaker will be Steve Hollingsworth, Birmingham’s Assistant Director for Sports and Events, who is part of the Birmingham 2022 team organising the Commonwealth Games. LEP Director Ruth Carver will be sharing the latest investment and development opportunities in Greater Lincolnshire, highlighting the progress that has been made so far and opportunities in the pipeline. The event will take place at the Hotel du Vin in Birmingham from 11.30am to 2.30pm on 29th November. Greater Lincolnshire is an integral part of the Midlands Engine and this will be the first event staged by Team Lincolnshire in Birmingham.